Want to know what Vibrant Nutraceuticals can do for you? 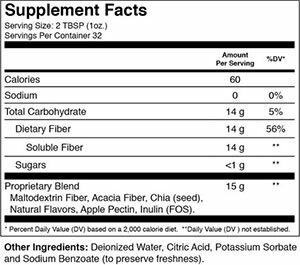 Ready to use liquid dietary fiber supplement with prebiotics. This product is specifically formulated to enhance the effectiveness of probiotic products such as Threelac and Fivelac. No grit, flavor-free, gluten-free. Can be combined with any food or liquid, hot or cold. 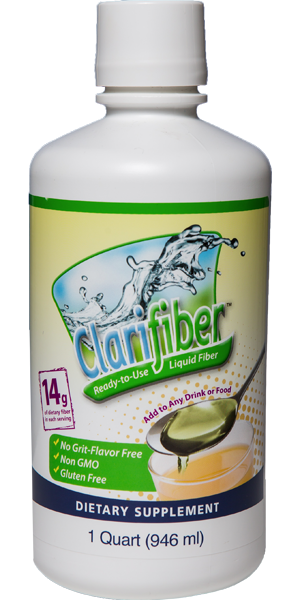 Clarifiber™ is a liquid fiber supplement product developed and manufactured by Vibrant Nutraceuticals. Clarifiber is clear and taste-free and can be combined with any food or liquid, hot or cold. Unlike other fiber products that are gritty and unpleasant to consume, Clarifiber is smooth and grit-free and will not alter the taste or texture of your foods. ...I will say that with just one teaspoon dose, my daughters stomach aches have gone away that she’s had for weeks from constipation problems. She’s back to normal already, and I was about to lose my mind. Thank you.